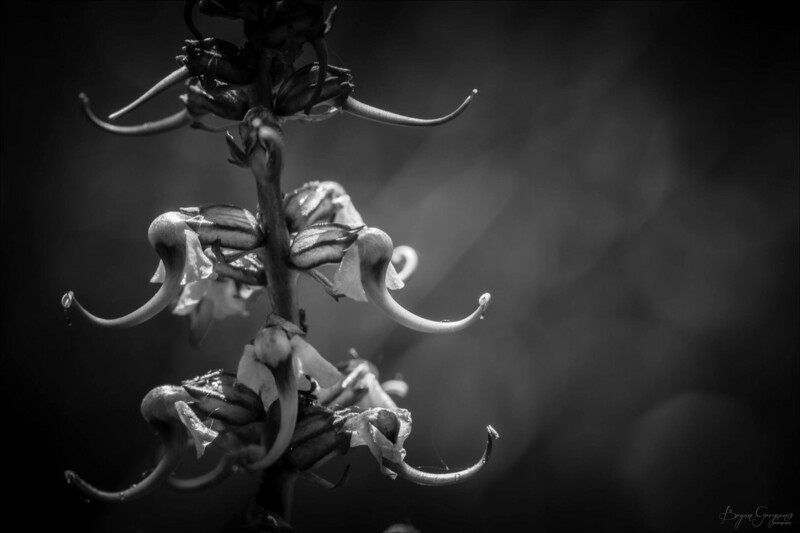 I’ve seen these colorful pink and magenta plants my entire life, but I kinda like this image in black-n-white. For no other reason than I needed to kill 5 minutes between downloading hard drives, I decided to study up a bit about this peculiar plant. I proceeded to “Google it”. Besides the usual techy data stuff, where they are found, what type of temps, how much water, and a lot of scientific wording I can’t actually pronounce or remember, I found out some really fascinating information. It is widely known that the Cheyenne made it into a tea to break up a cough. It’s also a mild tranquilizer, muscle relaxant, aphrodisiac, and sedative. It’s used for muscle, back and joint pain, along with sprains, nighttime cramps and insomnia. You can also apply it to fevers, use it as a general sedative, against anxiety, and some herbalists give it to hyperactive children. Remarkably, upon further research I discovered the Elephant Head is also used magically for preparing for astral travel or clairvoyant states. So if any of you are planning on attempting astral travel anytime soon or maybe you need to practice up on using your third-eye, it sounds promising, might want to give it a try. To this today I can’t walk past them without stopping for a moment to appreciate these animal designed flowers. When I’m viewing them through my macro lens I also tend to wonder, with a smile, what the hell nature was thinking… how bizarre, how grand.